Launched in March of 2012, a year after the iPad 2 was first released, the iPad 3rdGeneration did not make a splash for how it looked cosmetically but for the improved display, camera, and processor. These upgrades improved many different experiences for the user, from taking pictures and videos, to faster web browsing on the go with the 3G model. 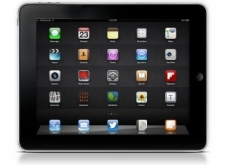 The user interface holds one of the most noticeable improvements of the iPad 3rd Generation. The new Retina display boasts a 2048×1536 resolution, almost double that of the iPad 2. This means that users have a challenging time discerning the pixels, where in previous versions of the iPad they were more easily visible. This new advancement creates a seamless user experience, especially for gaming, watching videos, and editing pictures. The new Retina display definitely improves the visual experience, as it had the highest resolution available on a mobile device when it launched in 2012. Consumers also found that the improved rear camera with a 5 megapixel version created higher quality videos and pictures. The automatic video stabilization on the rear camera is another new feature, however, the front camera that is most popular for FaceTime is still in VGA format. The battery life of the iPad 3rd Generation improved by almost double the capacity, allowing users to browse the web for 8-10 hours with streaming videos before having to charge the device. The upgraded RAM that went from 512MB in the iPad 2 to a full 1GB in the iPad 3 is another massive advancement that many consumers embraced. The new A5X processor helps to support all of the improvements and allows the device to maintain consistent results, especially when browsing the web. The software for the iPad 3 is not at the heart of the improvements, but some of the favorite apps are upgraded to work even better with the faster processing of this device. Users can also download multiple apps without having to return to the home menu of the App Store between each download. GarageBand has updates and iPhoto takes advantage of the new and improved rear facing camera. The shutter button for the camera moved on the screen to the lower corner so that when it is used in landscape mode users no longer have to try to extend their fingers to the bottom center of the screen. Consumers who invested in the Verizon model can use their devices as wireless hotspots free of charge, making them favored choices for those who do a lot of digital work on the go. For those who upgraded from the iPad 2, the good news is that most of the travel cases also fit the iPad 3rd Gen. When the iPad 3 was released with much faster internet browsing capabilities than the iPad 1 and 2, the best online casinos knew that they had to improve their software so that they could keep up with the much faster tablet computers. It was this Apple device that served as a wakeup call and made casinos realize that if their software was not optimized for iPhones and iPads, they would begin to lose players to those that catered to this segment of the mobile market. Below we provide the best online casinos for iPad 3 based on geographic region. The iPad 3 burst onto the scene with double the resolution of its predecessor so now players could really tell the difference between good and bad casino software. It was at this time that the Bovada Casino really distanced themselves from their competitors for anyone living in the United States and playing on a mobile Apple device. 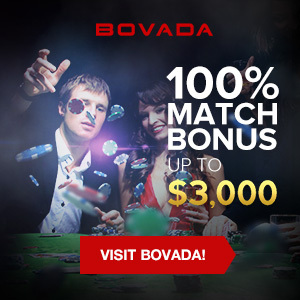 Their proprietary software had evolved over 15 years and could finally be appreciated by those with the new iPad 3s, and this is why we strongly recommend Bovada for anyone living in the USA. As mentioned above, the iPad 3 came with faster browsing capabilities and much better resolution, and this forced every online casino in the United Kingdom to step up their game and provide their players with updated software that could keep up with the new devices. Luckily, the 32Red Casino had been quietly operating in the U.K. for quite some time, building up their reputation and investing in their mobile casino software development. Therefore, we here at MacCasino.net are happy to crown them as the best U.K. casino for anyone wanting to gamble on an iPad 3. Due to their abundance of games, great graphics, and lightening-fast software, we have always endorsed the SportsInteraction Casino as the best option for Canadians who want to wager on an iPad 3. SportsInteraction have spent years researching great software companies to license their mobile casino games from, ensuring that gamblers in Canada enjoy playing at their mobile casino, even those playing on earlier generations of iPad and iPhone.